This year, our in-school Book Fair begins on November 9th, but you can begin your book shopping on October 31st, at the Online Book Fair. To visit the Book Fair Homepage click here. Online shopping is available from October 31st until November 20th. Don’t forget to look for your teacher’s online Wish List starting October 31st, and add a book or two to your order for their classroom library. Click on the Classroom Wish List tab to see if your teacher is participating. A monster coloring page has been sent home in your child's Thursday folder. You can click here for an additional blank one if needed. 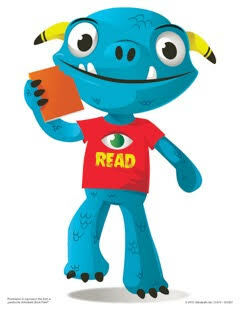 Please encourage your child to decorate their monster page. We are planning to use the pages to help decorate our book fair. Children who return a decorated page will be entered in a grade level drawing. The winners will receive a book of their choice worth up to $10.00. Wimpy Kid Fans: You can pre-order Diary of a Wimpy Kid : Old School. The book will be shipped directly to Merion Elementary beginning Nov. 3rd. 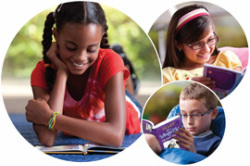 There is no cost for shipping, and each purchase benefits Merion Elementary. Books will be delivered to your child when they arrive.